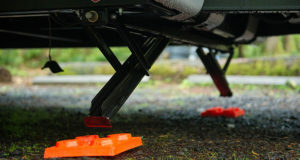 How can I minimize camping trailer sway? You know the feeling. Driving down the road, headed to your favorite camping spot, when all of the sudden your camping trailer behinds to sway. 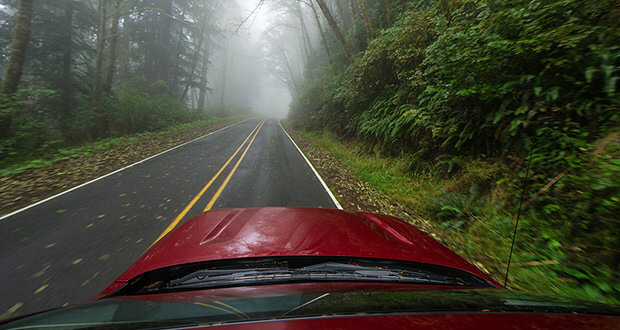 From weather to load balance, there are many reasons your camping trailer may have a tendency to swing back and forth; even on the straightest of roads. Not only is it unnerving to pull a swaying trailer, but it is also potentially dangerous to your and everyone on the road. Controlling trailer sway is pretty simple with modern technology. Most newer-model camp trailers are equipped with tons of modern tech that help keep the trailer in a straight line. Even if you have an older trailer, there are steps you can take to make sure you’ll have a smooth trip to the outdoors. The analogy I like to use is “It’s a lot easier to pull a chain than it is to push it.” It’s all about distributing weight correctly, having the proper hitch-height, and matching the vehicle to the camper. Bob Rogers from Lance Campers to give his expert advice on minimizing camping trailer sway as part of our series we are calling Trailer Tips. Previous: Trailer Tips: Do I need a special vehicle to tow camping trailers? 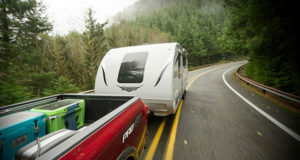 Trailer Tips: Do I need a special vehicle to tow camping trailers?